Out n about at the Copely Mall in Boston Ma . 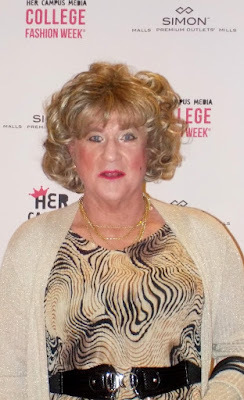 When I spotted this red carpet event for College Fashion Week, hmmmmm love to walk the red carpet, well, the young college age ladies couldn't have been sweeter to me. They where there showing off there latest fashion designs. Thank you ladies for your kindness. You made a old girl feel young again.